Easter cake typical of Perugia (my home town). Alkermes makes the inside red and the surface is decorated with meringue and colored sprinkles. Red and white are the colors of the city. The tradition tells the story of a girl making the cake for her beloved and giving it to him on Easter Sunday. 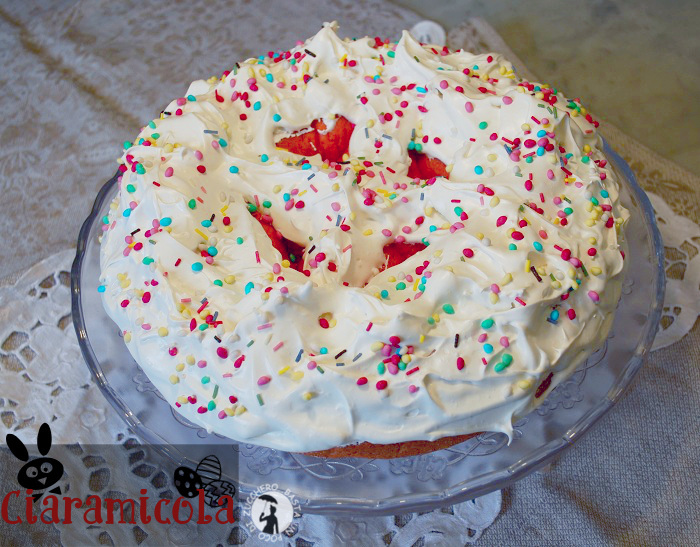 Ciaramicola is excellent and fortunately baked throughout the year by local pastry shops. Recommended. Here you can see a photo. or launch the ciaramicola audio file [mp3].